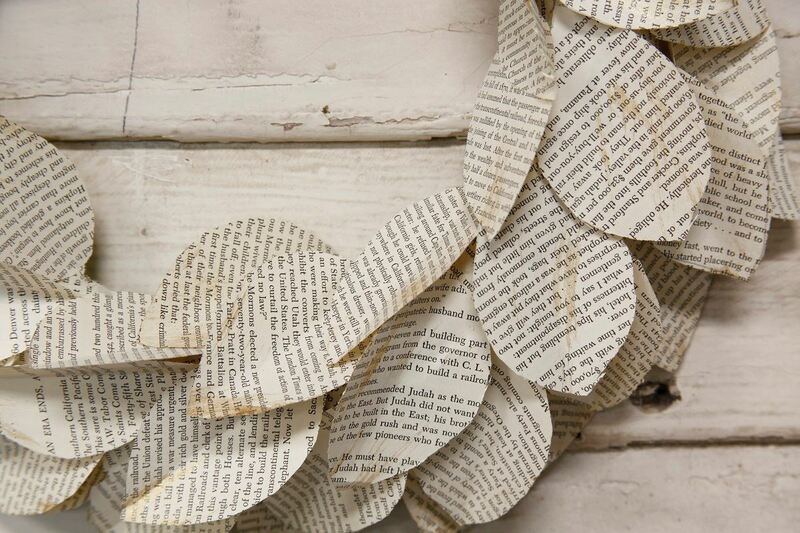 Turn your favorite words from a book into a beautiful piece of art with this easy paper wreath project! 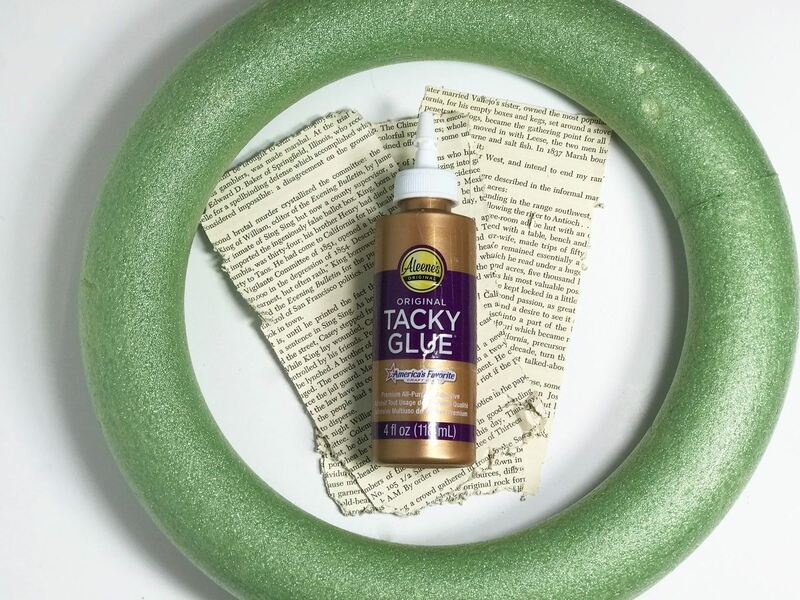 All you need is Aleene's® Original Tacky Glue and a few additional supplies. 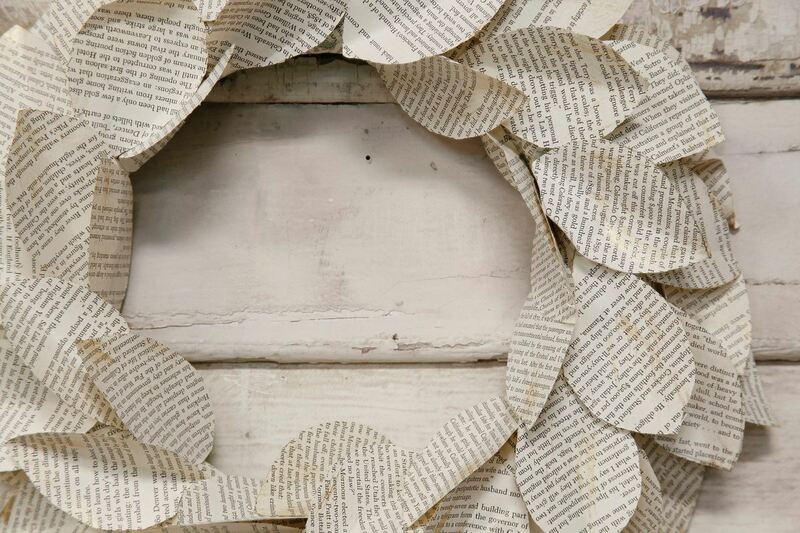 Start by applying glue directly onto the foam wreath, using a paintbrush to smooth it out. 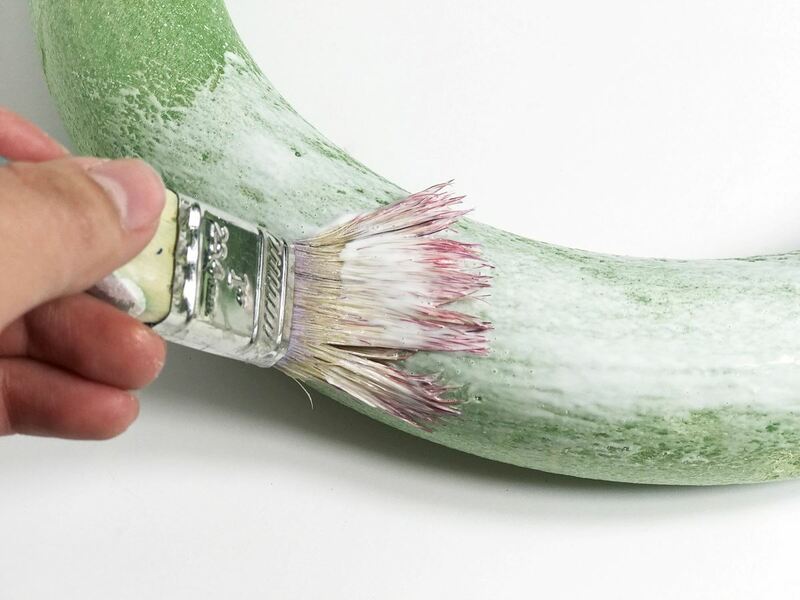 Tip: You can add a small amount of water to your paintbrush before brushing the glue to make it a little more diluted and workable. 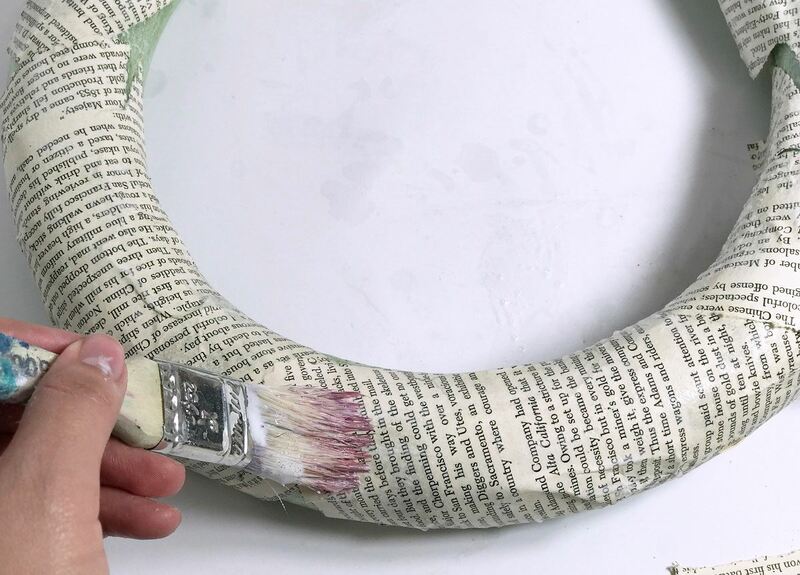 Wrap book pages around the wreath form to cover, using your paintbrush to help smooth them out. Cover the entire wreath and let it dry for 4-6 hours. I like to cover my wreath base so the project looks finished! 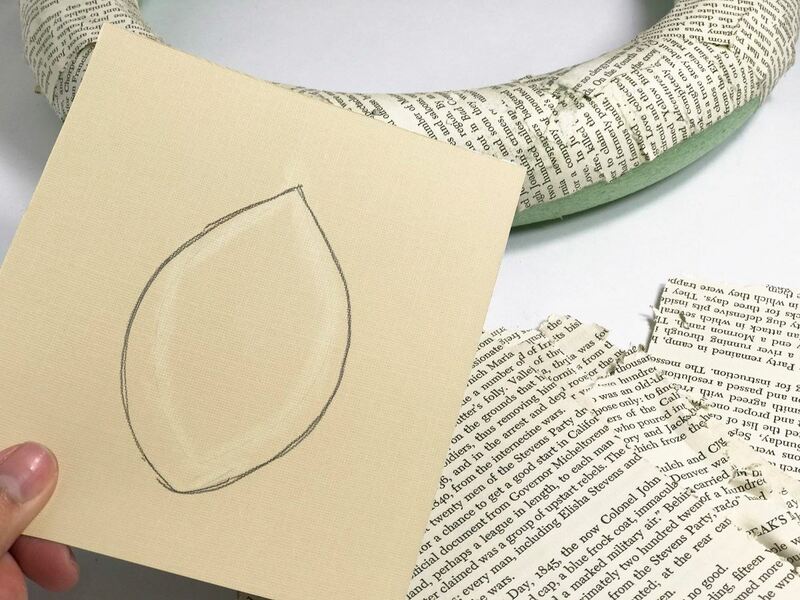 On a small piece of cardstock, draw a leaf shape and cut out. 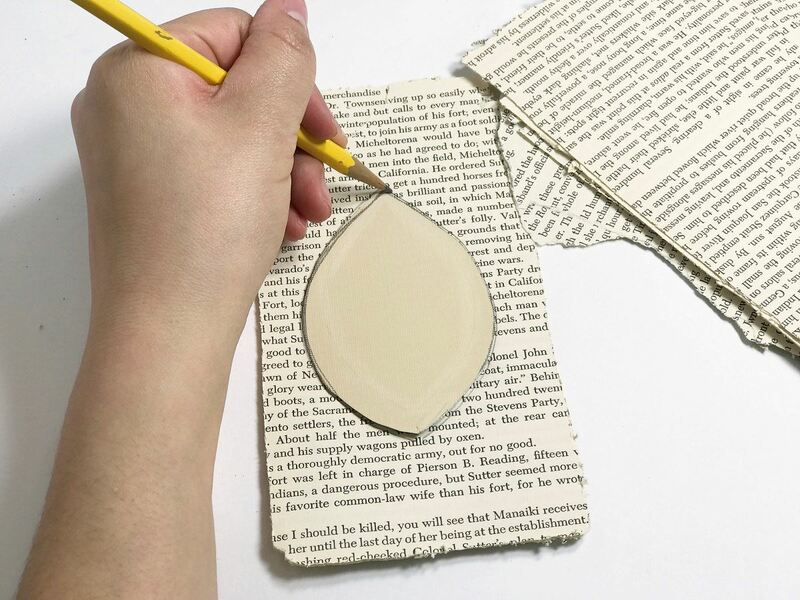 Trace the leaf cutout onto book pages and cut out. 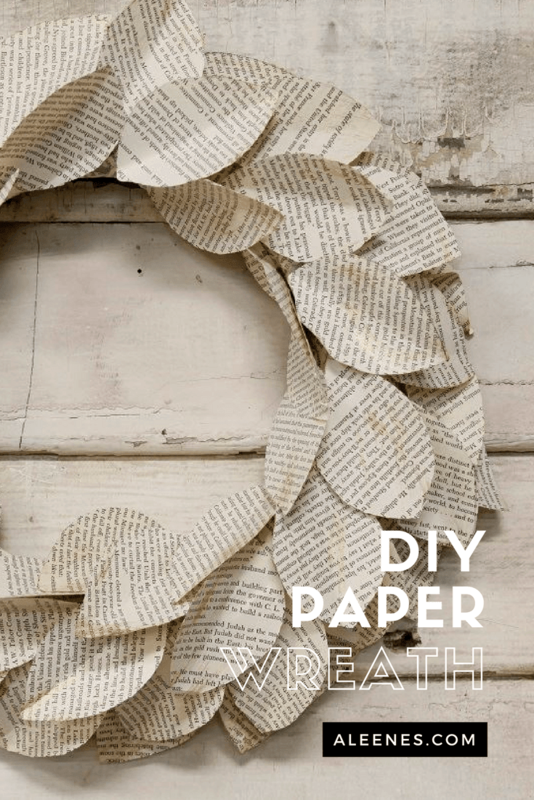 Create as many leaves as you would like for your wreath. Fold the leafs in half and put a small drop of glue on one end. 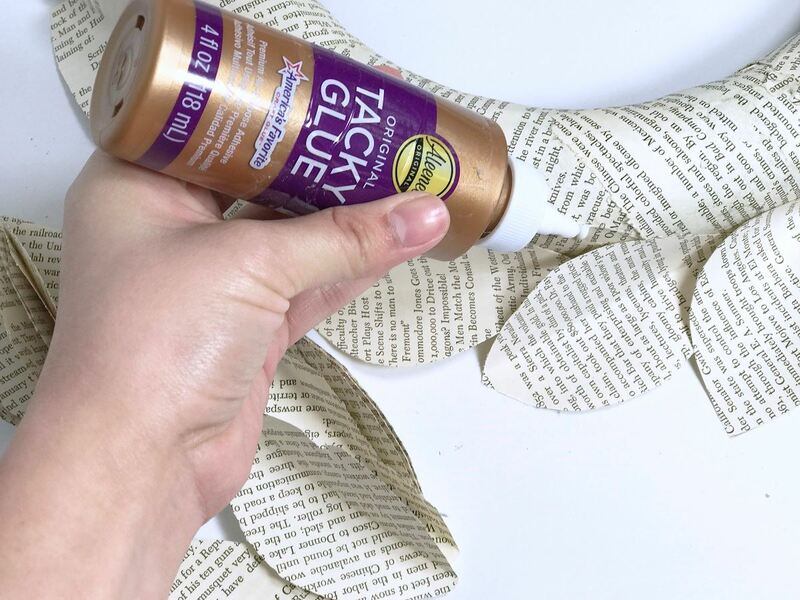 A small amount of glue goes a long way; if there is too much glue it can take longer to dry and can oversaturate your project. Press the glue portions of the leaves around the bottom of the wreath form and let then dry before adding the next layer. Continue adding leaves in layers around the wreath. Once the entire wreath is covered, let it dry completely. 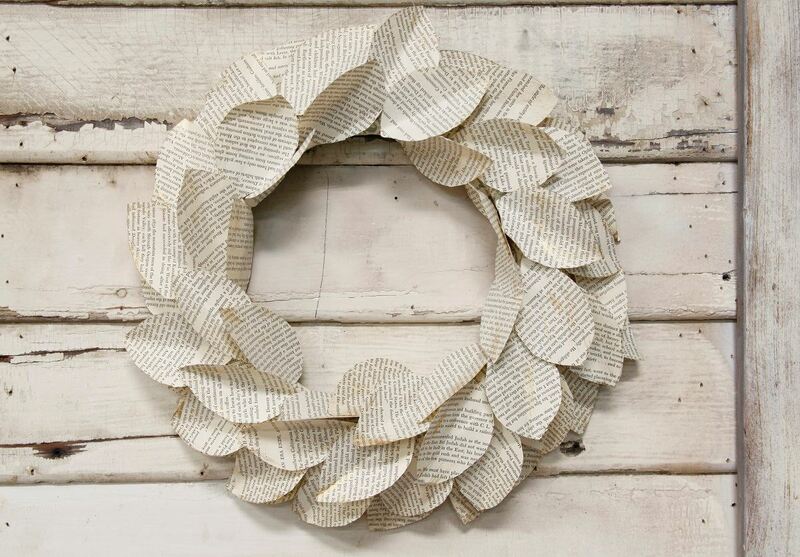 This beautiful wreath is now ready to show off in your home!